A New bag manufactured by saran jute bags called Laptop bag having two Partitions stylish look and durable product. Suppliers and supplying all over Hyderabad, Telangana, A.P. and India also. 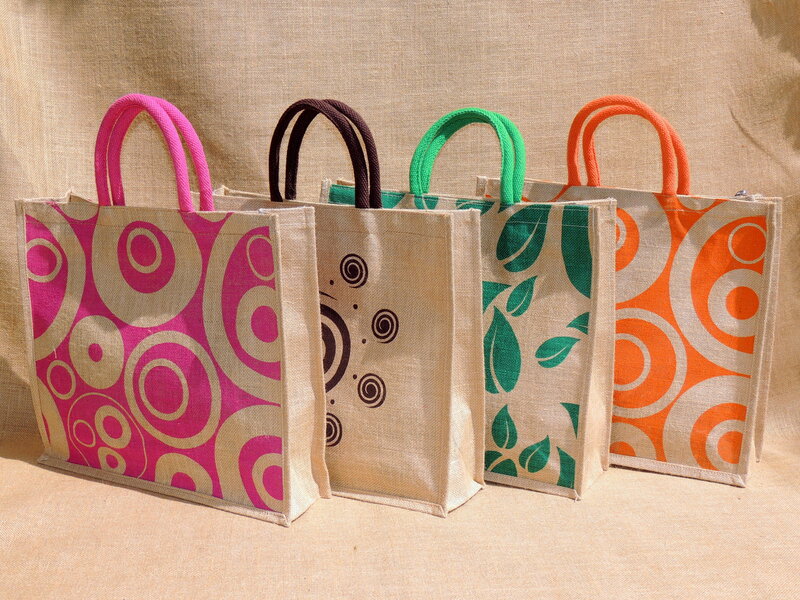 Jute Bags On Online | Jute Carry Bags | Jute Messanger Bags | Jute Potli Bags | Jute Hand Bag Go Green with sophistication! A stylish & gender-neutral eco-bag popular for use at the office, on the plane as a "carry-on", & for every day use! This bag is very popular with Mothers who use it as a Nappy Bag as well Jute is a natural material so colour and texture variations may occur. These inherent nuances are a characteristic of the natural fabric and are not construed as defects. his is a luxurious, thick, gusseted jute bag with the emblem It's both practical AND stylish. Alternatively, it's ideal to keep in the car now shops don't give away carriers - this bag will carry even the heaviest shopping with style. It is ideal for keeping your lunch in at work, for keeping your knitting in or for taking your library books back. It is sturdy and of the highest quality; you will not be disappointed. The perfect gift for a knitter.